EFT is a remarkable self-healing technique that uses your body’s natural stress reduction points to produce rapid changes emotionally and physically. The following licenses (in alphabetical order) can earn 6 CEUs for an additional $5 fee. Check the box below to add CEUs before clicking on “Register”. 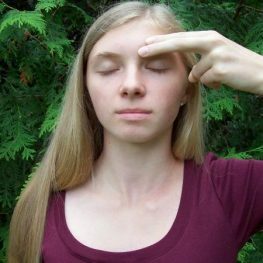 EFT tapping is a remarkable self-healing technique that uses your body’s natural stress reduction points to produce rapid change. Stimulation of these points by touching or tapping has been scientifically demonstrated to quickly reduce anxiety, depression, and phobias often leading to the reduction of physical symptoms like headaches, muscle stiffness etc. EFT tapping also has the potential to improve your mood, boost your vitality, and dramatically improve your performance at work, school, sports, losing weight, stopping smoking or other habits, and managing anger. EFT tapping has been written about in national magazines, the Wall Street Journal, and on national TV. With this fun, exciting and highly meaningful workshop, you will be taught a variety of simple and advanced techniques to release unwanted emotions (fear, anger, anxiety, frustration, sadness etc. ), addictive cravings, as well as trouble losing weight and/or keeping it off, physical tension/pain, relationship problems and more. Learn to release these stresses in minutes or hours. You will walk away from this class with information about the science behind EFT tapping, how it works (a basic, simple recipe), how to apply it to your specific situations, and how to help your family members, friends, co-workers and clients apply it to their lives. Class begins promptly at 9:00a. Be sure to arrive 10-15 minutes early for check in. Bring a sack lunch. A refrigerator and microwave are available. Note: Lunch is only 30 minutes; therefore there isn’t enough time to leave the premises. 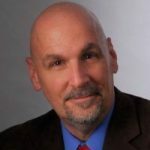 Tim Hayes, Psy.D., is a Licensed Clinical Psychologist in private practice in Crystal Lake, Illinois. With over thirty years of successful experience, doing therapy with individuals and families Dr. Hayes integrates mind/body energy techniques into a client-friendly model. This model emphasizes that people possess within themselves the resources necessary to deal effectively with a wide variety of problems and challenges. Dr. Hayes specializes in relieving post-traumatic stress, (PTSD), symptoms. He has helped countless individuals and families resolve the effects of severe trauma, whether recent or in the distant past. These traumas include; verbal, physical, emotional and sexual abuse, as well as severe physical trauma and loss. Due to his experience and ability to integrate a range of therapeutic techniques, he helps clients in the most cost-effective and time-efficient way possible. Dr. Hayes remains on “the cutting edge” of mental health services by integrating some of the newest and most effective approaches into a results-oriented therapy style. Some of the tools he employs besides EFT are: EMDR (trauma reduction technique), Depth Oriented Brief Therapy Training (Coherence Therapy), Neuro-Emotional Technique (NET), and The Bio-Energetic Synchronization Technique (BEST). For over 20 years, Dr. Hayes has taught parenting skills and written extensively about power struggles (from the perspective of both a father and therapist). His widely acclaimed book, Parenting Power Struggle Handbook is now available from his web site www.ch4cs.com. In addition to his role as therapist and parenting expert, Dr. Hayes speaks professionally on a wide variety of topics related to mental health, relationships, parenting and the mind/body connection.